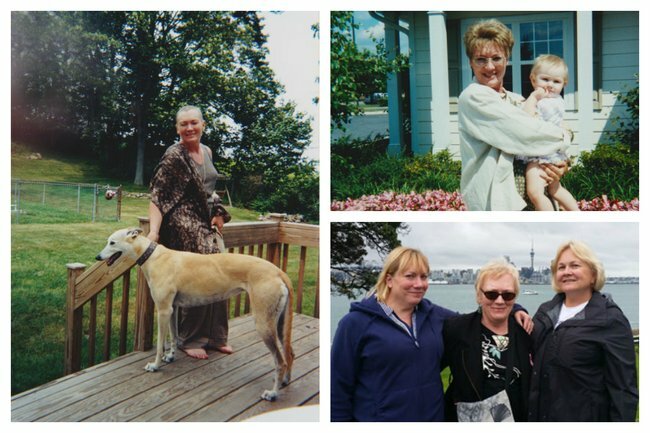 Breast cancer awareness: Clinical trials saved these women's lives. Before her 50th birthday, PJ made a decision that changed the life of another woman forever. PJ Lynn had an amazing career flying around the world as part of her exciting work in the travel industry before being diagnosed with breast cancer. “Travel has always been part of my life and my first flight was when I was 14 years old and I flew from Chicago to San Francisco to see the Beatles in concert,” said PJ, who grew up in the United States. PJ was about to turn 50 when she was diagnosed with breast cancer. She was at a spin club and saw a van on the street that was providing mammograms. 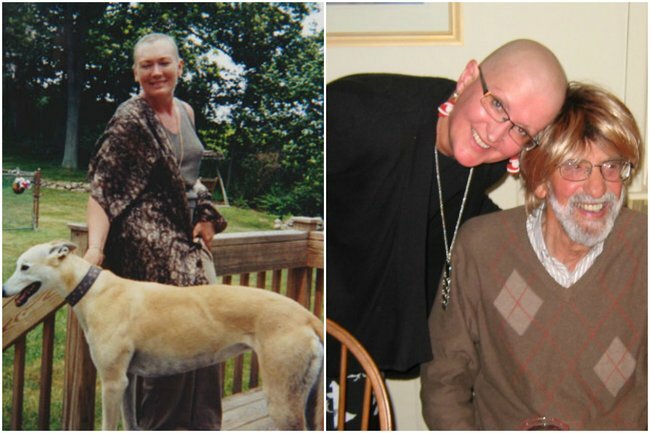 PJ after her radiation treatment ended in 2001; with her niece that same year; with her sisters in 2014. Images: Supplied. As part of PJ’s treatment, she was told by her surgeon about a breast cancer clinical trial called BIG 1-98, which was being conducted by Breast Cancer Trials. The study was examining the benefit of the drug Letrozole, which was a new class of drug called an aromatase inhibitor, in the post-surgery treatment of postmenopausal women with early stage hormone sensitive breast cancer. PJ decided to participate in the trial as she wanted to do something positive. “As the eldest of five children in a family with three sisters, I have always participated in decisions and wanted to learn more about what was happening to me regarding treatments and how to be in control of a positive outcome. I wanted to help women to improve their lives, so they would have the best chance of survival and have always had the goal of living my best life,” PJ said. Clinical trials are designed to find out if new treatments or prevention strategies are more effective than those currently accepted as the best available standard treatment. There can be many types of clinical trials, such as trials for the prevention and treatment of breast cancer, and studies that aim to improve a patient’s quality of life. The BIG 1-98 clinical trial found a significant reduction in the risk of breast cancer recurrence and a trend towards improved overall survival with the addition of Letrozole when compared to Tamoxifen, which was the standard of care. Fortunately for Kym Berchtenbreiter, the results of the BIG 1-98 clinical trial was a significant breakthrough in the treatment of breast cancer and aromatase inhibitors are now widely used as standard of care for many women today. 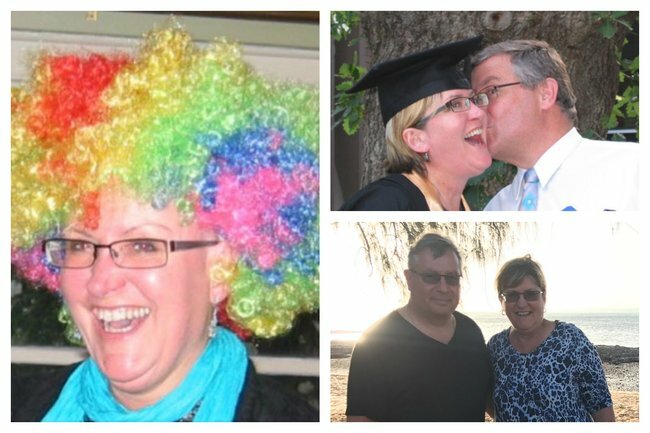 Kym was 48 years old when she was diagnosed with early breast cancer. Her life was busy, having just graduated with a Graduate Diploma in Education (Primary Teaching) and managing the family’s financial services practice. Kym was diagnosed in 2009, after her postgraduate achievement. Bottom right: With her husband today. Image: supplied. Kym was standing in front of the mirror one morning and about to get in the shower, when she stretched her arms up over her head and noticed a small dimple on the underside of her breast. While she wasn’t overly concerned, she thought she should visit the GP to check it out. “My first thought when breast cancer was detected was can I survive this or is it going to kill me? That was the beginning. Within a week I’d had a mammogram, ultrasound, appointment with a breast surgeon, core biopsies, breast MRI, sentinel node biopsy and a mastectomy,” Kym said. Part of Kym’s breast cancer treatment involved Letrozole and she is grateful to the women in the past who took part in this research that is saving lives today. “Thank you to the women who have taken part in clinical trials research. Thank you for your generosity, thank you for your bravery and thank you for your pioneering spirit,” Kym said. “Breast cancer clinical trials research is vital to advance our understanding of this disease, to improve survival rates and to improve women’s quality of life. Breast Cancer Trials (BCT) is the largest, independent oncology clinical trials research group in Australia and New Zealand and has conducted a national clinical trials research program for the treatment, prevention and cure of breast cancer for 40 years. The research program involves almost 800 members at 101 leading medical institutions in Australia and New Zealand. 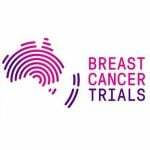 For more information about BCT and its research program, visit www.breastcancertrials.org.au. Breast Cancer Trials is the largest, independent oncology clinical trials research group in Australia and New Zealand and has conducted a national clinical trials research program for the treatment, prevention and cure of breast cancer for 40 years. The research program involves almost 800 members at 101 leading medical institutions in Australia and New Zealand. More information about BCT and its research program visit www.breastcancertrials.org.au.